Waking up at 10 to a nice leisurely breakfast, followed by an afternoon of lolling around. Cap it all off with grilled steaks before departure time. Rising at the crack of dawn for rousing sessions of soccer, baseball, biking and whatever outdoor activity comes to mind. Driving 160 miles round-trip to replace your kids’ beloved pet – the one you never wanted to begin with – and swearing you’d travel twice that distance if that’s what it took. Dad would have preferred No. 1. He didn’t so much pick No. 3 as it was picked for him when Eloise Laptop Cheez-It left us for that great hamster wheel in the sky. I made the discovery Sunday evening. When I got to her cage, she was strangely still at an hour that’s usually her party time. “She’s been awfully quiet today,” Big Guy said. With good reason. I looked closely, and she didn’t appear to be breathing. I touched her, and she was stone cold. Panic set in, but I walked calmly to the kitchen. Yeah, I know. I could have told them the truth right there on the spot, but I hadn’t been prepared for this. We’d had Eloise only three months. Obviously she had been way older than the year the previous owner had estimated. And while the guys know that people and pets die, I didn’t necessarily want them seeing a dead body. I put food in the late Eloise’s dish and, fortunately, the guys didn’t want to play with her. We had a rule against waking her up to play anyway, and for once they didn’t try. After the guys went to bed, we disposed of the remains and came up with a plan. We’d break the news to them when they woke up and go to a pet store somewhere – heaven knows where since Fort Irwin is 31 miles into the middle of no where – if they wanted a new hamster. “I’ll go to Los Angeles if I have to,” Dad vowed. We found a store about 80 miles away that looked promising. It was too late to call, though, to find out if it would be open on President’s Day and if it had hamsters in stock. We’d planned to check first thing in the morning, before we told the guys. Boots destroyed that strategy, though. We gathered them around us and told them that Eloise had died. It was no one’s fault. She was just older than we thought. “Is she in heaven?” Big Guy asked. “Yes, she’s in heaven, and she feels a lot better. She’s healthy and can play again,” I said. “What’s she doing up there?” Boots asked. “I think she’s in a giant hamster ball,” Boots smiled. “I think she’s giant – like, as big as you,” Big Guy added. 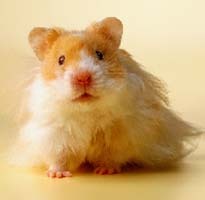 A bit later, we called the pet shop and got the right answers: It was open and had plenty of hamsters. We got the guys loaded in the car for the long journey for a new pet. We might even get two if they’re not too expensive, Dad told them. Liar, I thought. You’re going to walk out of there with two pretty much no matter what they cost. “I’m going to name mine Eloise,” Big Guy said. “So am I,” Boots added. But of course they did, because they’d already been conspiring with Dad. Big Guy’s hamster is Eloise. His middle name is Teddy. Eloise Teddy and Teddy Eloise, welcome home. Here’s hoping you have a nice, long stay. And now Dad can go forward, secure in the knowledge that his little family is being guarded by the spirit of Eloise and her lovely namesakes…I am laughing so hard…this is the sweetest story!